More understandable of all, the Southern Node is the knowledge, experiences, abilities, talents that you can use to evolve, to learn, to accomplish your destiny through the North Node. The South Node is the comfort zone you do not want to get out of because you know the situation, while the North Node puts you to work, there’s no time to lose. It is up of you, whether you want to fulfill your destiny or not, it is a personal decision. Whenever you move away from the goal, you receive subtle messages that remind you that the right way. North Node Axis in Gemini – The Southern Node in Sagittarius and the North Node axis in the Third House – The South Node in the Ninth house. The Southern Node in Sagittarius makes you to be in a comfort zone on your own beliefs and opinions about life, to be too direct with others without considering their views. You are in a hurry most of the time, have no patience, you do not tolerate the pressures of others, because your freedom is the most important. Then you look at the ruler of the sign of the South Node, in this case JUPITER is the ruler of Sagittarius. Placing Jupiter in your natal chart shows you how you tend to react to keep yourself in the comfort zone of the South Node. It is also useful to analyze the aspects between the lunar nodes and the beneficial planets, Venus and Jupiter. The Southern Node is an irresistible attraction, an experience you want to repeat to infinity. The North Node in Gemini invites you to learn all the time, listen to the other people opinions, to truly communicate and to try to understand when there are many points of view. Sharing ideas, friendships, social relationships, connections and responsiveness to the needs and opinions of others helps you release some of your nervous energy and gain the mental balance needed to be happy in this life. Then you look at the ruler of the sign in which the North Node is located, in this case MERCURY is the planet that rules the Gemini. 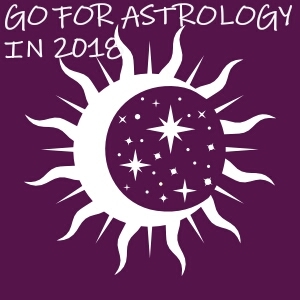 Placing the planet Mercury in your natal chart shows you how you tend to act to get out of the comfort zone by learning some outstanding lessons, how you accomplish your mission. It is also useful to analyze the aspects between the Modes and Mercury. The next month I will post an article about North Node in Cancer and South Node in Capricorn and/ or North Node in fourth house – South Node in the tenth house.